So you’re officially married, congratulations! You now have a wedding anniversary date, which you can enjoy every year. A great opportunity to reflect on your time together and reminisce about your special day. Most anniversaries have a special meaning and gifts associated with them, so help make your anniversaries unforgettable by learning a bit more about their meanings in the list below. This provides a comprehensive guide to your wedding anniversary years in the UK. One year of marriage is symbolised by paper because a new marriage is like a blank sheet of paper and still delicate. It also helps that it offers budget-friendly gift ideas, as a couple in the first year of marriage might still be managing their budget after the wedding! Celebrate your first wedding anniversary with a unique paper present – a stationery set, tickets to see your partner’s favourite band or perhaps a poster? Traditionally your second wedding anniversary is represented by cotton. This is because the threads of you and your partner’s lives are becoming ever-more interwoven, like making cotton (cute, right?). There are lots of great matching gift ideas for him and her for this anniversary: coordinating dressing gowns, perhaps, or luxurious cotton sheets. No, that’s not why! Leather was traditionally used as a protective layer against bad weather, so the third anniversary is about security and shelter. Leather is also long-lasting, as your marriage will be. Gifts for him could include a monogrammed wallet, and why not splash out on a leather handbag for her? At four years your marriage is blossoming and ripening, so it is represented by fruit and flowers (in the UK – in the US it is linen and silk). If your other half is a gardening enthusiast, this is a great opportunity to buy them gardening tools. If they prefer eating the produce than growing it, then how about a fruit basket? Wood is the symbol of a five-year marriage because of its source: trees. Trees are a symbol of strength, wisdom and time – all things a solid marriage has. Trees also have roots and at 5 years your marriage is now deeply established. Traditional gift ideas include wooden clocks or sculptures but you might prefer something more contemporary like a wooden picture frame or wine in a beautifully presented wooden box. OK, now your marriage is getting really sweet! Six years is the perfect time to indulge in some sugary treats or go out for tea and plenty of cake. Wool keeps you snug and warm – as does the love you and your partner provide for each other. Some cosy clothing or throws make great gifts for year seven. Salt provides flavor in every meal; here it represents the fact that your love is a necessity in your life, adding flavour. We have to admit we’re a little stumped for gift ideas for this one – try a set of luxury salt and pepper shakers, or cook a delicious meal for your partner (with just the right amount of salt!). Like a 9-year marriage, copper conducts and generates heat. Gorgeous copper cookware would make a great gift for a 9th wedding anniversary – or if you are more artistic, perhaps a sculpture. A decade of marriage is an incredible achievement. The use of tin as a symbol of a 10th anniversary comes from the fact that tin is durable, does not corrode and is used to preserve food. With metal, gift ideas can either be practical – home ware or cookware – or more decorative like vases, engraved goblets or candle holders. Here is where the wedding anniversary years start to get fancy! Crystal is a delicate and expensive product and its transparency reflects how a couple sees each other clearly after 15 years together. Elegant crystal stemware is always a welcome gift, or perhaps you’d like to choose watches for each other as a more contemporary option. China is a fragile and beautiful product that needs to be looked after well to last over time and symbolises how well you have looked after your love over the two decades you’ve been together. China-based gifts are an attractive reminder your love – or you can take a more adventurous approach with a trip to China (the country - or your local Chinatown for a more budget-friendly option). 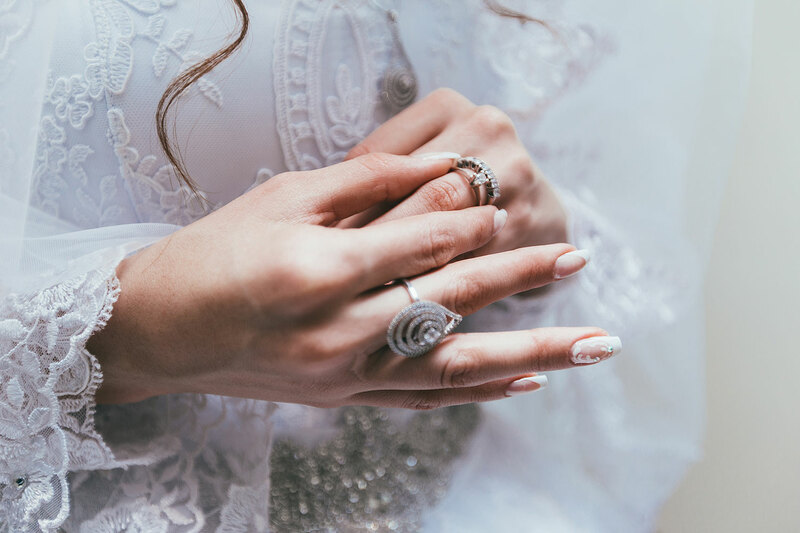 Spending a quarter of a century with someone is incredibly valuable – no wonder that silver, one of the most valuable metals, is what represents your 25th wedding anniversary. No matter how old it is, if silver is treated well it is radiant. For more traditional gifts choose photo frames or engraved silverware; if you want to think outside the box, how about cooking a celebration meal and decorating the table with a silver theme? Pearls are formed over time in oysters, which are not the best-looking of containers. Therefore the meaning of a pearl is hidden beauty coming from maturity: just like in a long-term marriage, it’s what inside that counts. Why not mark the occasion by going out for oysters together as an alternative to gifts? A freshwater pearl necklace also makes an elegant gift for her. The rich red ruby is one of the world’s most sought-after gemstones, just like 40 years of marriage! It also symbolizes love and passion – the red denotes the flame of passion that grows brighter each year. Naturally ruby jewellery is always a wonderful gift, but if you want to think outside the box then what about personalized ruby-red wine to share, or a red rose to plant in your garden? Fifty years is a lifetime together and there’s only one gift that can represent that – gold. Gold symbolizes strength, wisdom and prosperity, all things you will have built up through your half-century as a married couple. The more traditional gift for her is of course gold jewellery and gifts for him could include gold cufflinks or a tie pin. Alternatively, you might like something you can both enjoy, like gold-trimmed crystal ware or a picture frame. An incredible milestone, your 60th wedding anniversary is represented by diamond. Diamonds are made through extreme pressure and are one of the most durable materials in existence. They are seen as invincible, just as your love is after 60 years of marriage. Celebrate this momentous occasion not just with diamond-themed gifts but also with a special dinner or party with your loved ones. So there you have it, a wedding anniversary meaning guide through the years – so much to look forward to!